Your sponsorship will help to move The Center forward and ensures that no one is ever turned away for their inability to pay. You will also help us in continuing to build an excellent sports program for our community. Last fiscal year, we managed 136 sports teams alone with 158 youth and 178 adults. The marketing prospects for your business is fantastic. Your business name will be seen by over 1,000 participants along with numerous spectators and that doesn’t include the number of people reading our local newspaper!! You won’t want to miss this opportunity to make a connection with the Center! 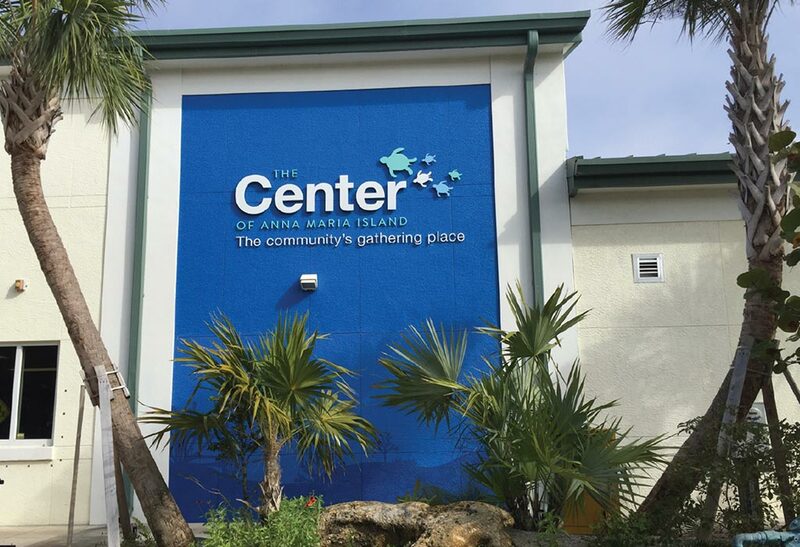 Contact: Will at will@centerami.org (941)778-1908 ext. 9205 for more information on sports and youth program sponsorships OR e-mail info@centerami.org for more information on sponsoring an event. Fill out a Sponsorship Agreement and bring it into The Center to start your sponsorship now. You also help us build an excellent sports program for our community. The Marketing prospects for your business is fantastic. Your business name will be seen by over 1,000 participants along with numerous spectators and that does not include the number of people reading our local newspaper. You do not want to miss this opportunity. Please contact Will Schenerlein, Recreation Director, Will@centerami.org or (941)778-1908 if interested in Sports Marketing. Team Sponsorship of all 3 major sports seasons and 2 special events (camp or tournament) within 1 year. 2×4 UV protected laminate proudly displayed on our athletic building for 1 year from signing of contract. Company logo displayed on uniforms. Company name in weekly local newspapers for sports reporting. Logo on The Center’s website. Social Media postings and Company “tagging” during contract period. Plaques with a photo of your team. 2 Team Sponsorships for fall, winter, or spring and 1 special event (camp or tournament) within 6 months. 2×4 UV protected laminate proudly displayed on our athletic building for one year from signing of contract. Company logo on uniforms. Company name in weekly local newspapers for sports reporting. Company display on The Center’s website. Team Sponsorship of one sport team or one event (camp or tournament). 2 x 4 UV protected laminate proudly displayed on our athletic building for one athletic season from signing of contract. Company displayed on The Center’s website. Team Sponsor of one sport team or one event (camp or tournament) within one year. Company name in weekly local newspapers for sports reporting. Banner in gymnasium for one year. The event named after your business. Promotional sign with business logo in The Center’s lobby through event. Your company’s name in the local newspapers. Ad in the local newspaper with business logo. Your company’s name on The Center’s event page with hyperlink to your business website. Logo displayed on the front of stage for the event. Logo on the event program. 4 social media postings & company tagged before the event. Business or owner mentioned in the play. Promotional Sign with business logo in Center’s lobby through event. Logo displayed on at food and on front of stage for event. 4 social media postings & company tagged before event. Logo displayed on Sound Booth and on front of stage for event. Logo displayed at bar area and on front of the stage. 2 social media postings & company tagged before the event. Business recognized during the event. Name printed on the character voting bag/box. Sponsor receives a color ad on ticket page of program. Formal recognition in the program. Recognition on all press releases and on The Center’s website. Sponsor receives a half page color ad in the program. Sponsor receives a quarter page color ad in the program. Sponsor’s name and logo on sign prominently displayed every time the quilt is exhibited at the library in January, February, and March. Sponsor’s name and logo printed on quilt note cards and posters. Sponsor’s name displayed on price tags of boutique items. Sponsor’s name on sign prominently displayed at each home on the tour.